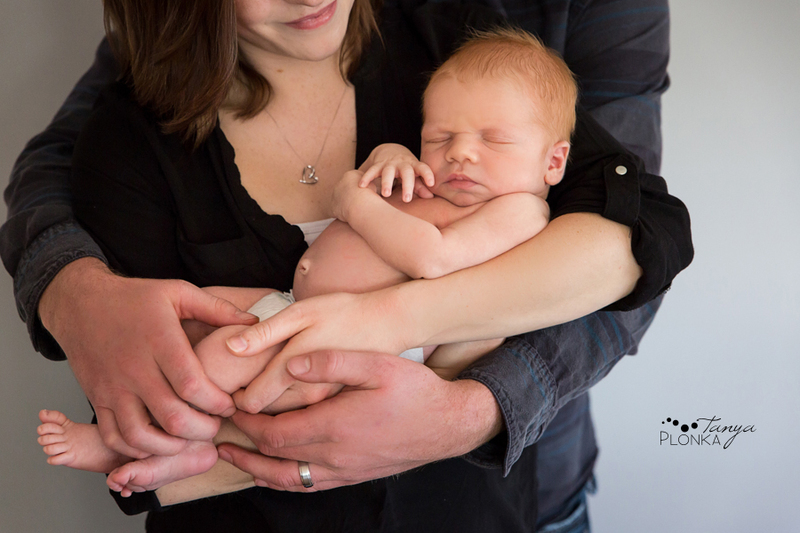 It was wonderful to meet Fleurie for her Crowsnest Pass baby girl session! We didn’t get to spend part of the session outdoors in the mountains as we hoped for thanks to the rain, but I got to hang out with her and her parents at home under the supervision of their dog Gus. (Gus doesn’t show up in these photos but he’ll be in their eventual outdoor family photos.) Fleurie was a little uncertain about what was going on and needed frequent bouncing breaks, but we managed to say just the right things to her in between crying for her to switch to her curious face. 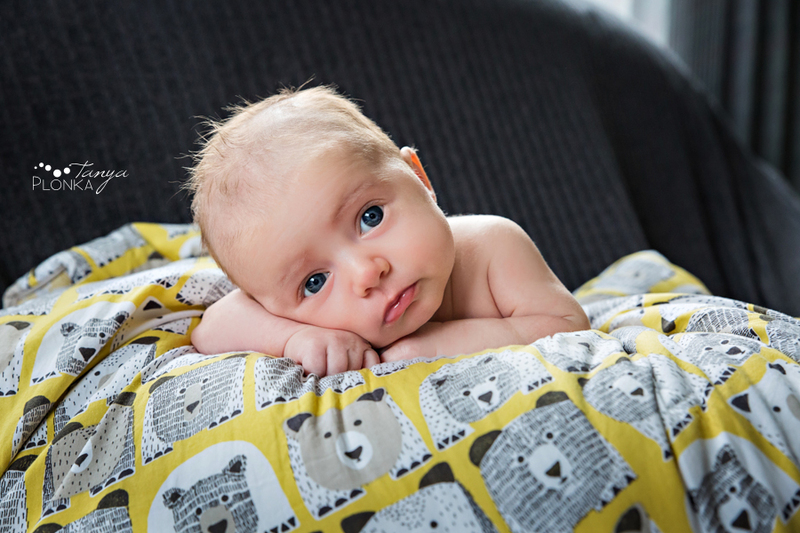 Her mom and dad learned a few new things about her that day, like that she LOVES soothers and that she is much happier if she gets to lay angled upside down. Cruz is baby #1 for his mom and dad and is being totally spoiled with lots of love and cuddles! 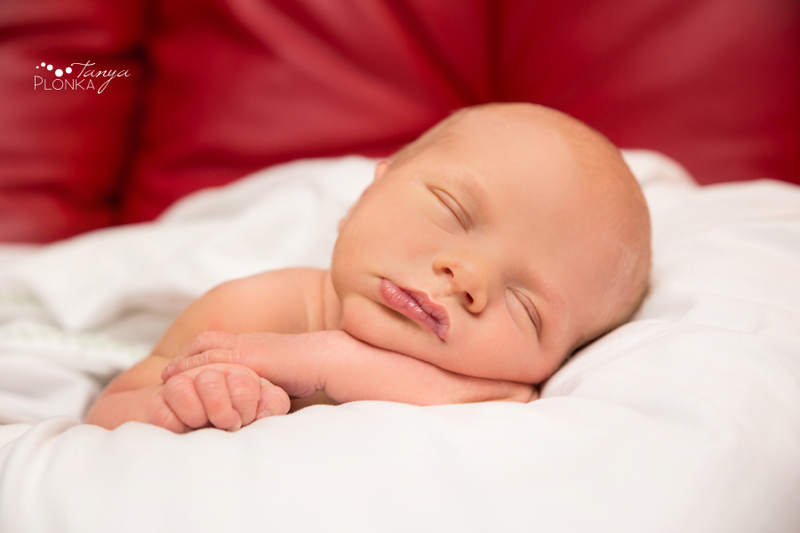 I went to visit them in the Crowsnest Pass for Cruz’s very first baby photos and he was quite the little model. 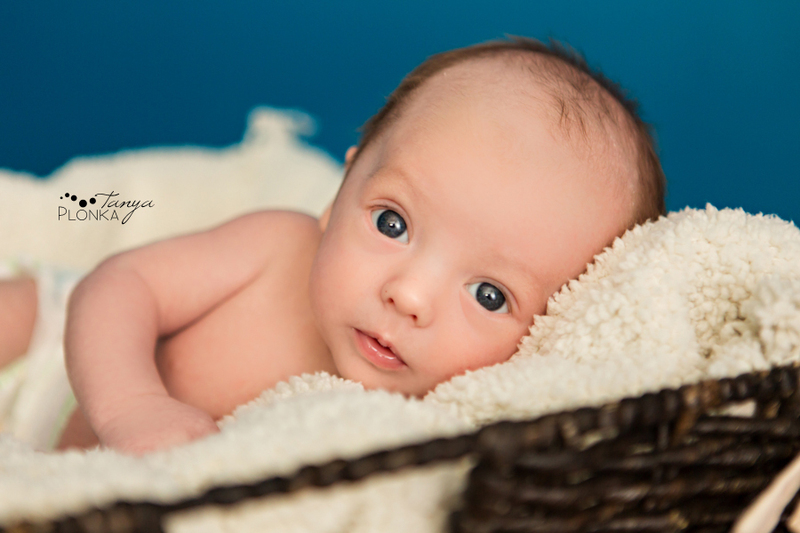 At only one month old, he can already hold his head up and seemed to know how to stare directly at the camera with his big blue eyes. His parents have such great senses of humor and even though he’s soooo little, I’m sure it’s already rubbing off on him! 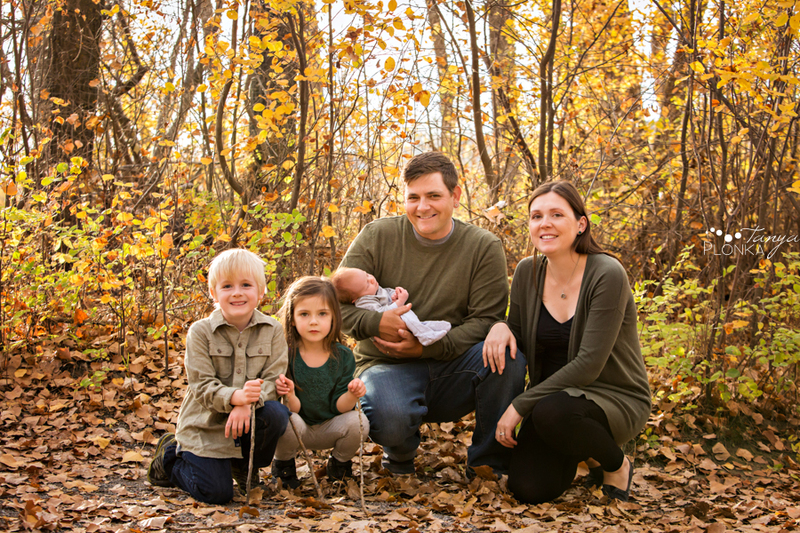 When the family was rounded up, we headed to the river bottom for Pavan Park newborn family photos. The older siblings had so much fun playing in the leaves and I’m sure they can’t wait until their little brother can join them! Oliver has arrived! Kallie and Wallie have the best comic book store connections for super hero merchandise and chose to go with Captain America themed newborn photos for Oliver’s first session. Not only were his clothes and toys on theme, but their décor and own clothing choices were perfect compliments! Oliver is really chill and laid back so far. Other than an occasional eye peering at us, he slept through most of the session and was pretty pleased about his naked time. I love seeing how excited his mom and dad are about him! Mason’s mom and dad were very excited (and VERY sleep deprived) with the arrival of their first baby. 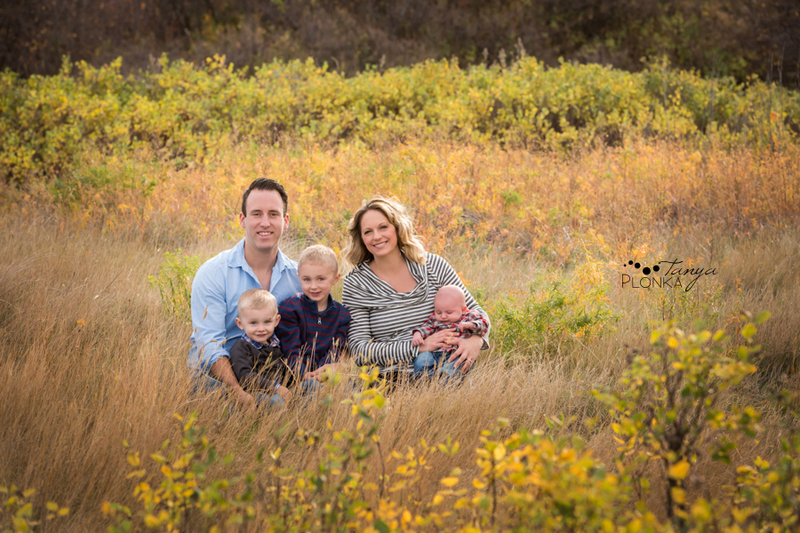 I visited them in Blairmore for Mason’s natural newborn session in their home, and he was a great sport in the beginning… until he decided we were treating him wrong by denying him an endless milk binge ;) Luckily cuddles from mom and dad calmed him right down and he was so content just to be held close. They came down for the Thanksgiving weekend with the cute blonde boys and we meet for autumn river bottom family photos by the Helen Schuler Nature Centre. Luckily the coulees and trees blocked the crazy wind from bothering us too much and the leaves still looked gorgeous down there! Camden is already very loved by his big brothers and I’m sure they will be eager to teach him how to climb on logs once he is big enough.